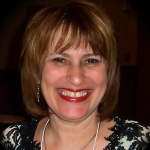 Sari Solden joins Tara McGillicuddy this week on ADHD Support Talk Radio. Sari and Tara will be discussing Effective Communication Strategies for Adult ADD / ADHD. This podcast episode is from the 2012 ADHD Awareness Expo. Sari Solden is a psychotherapist in private practice in Ann Arbor, Michigan and has specialized in individual, couple and group work with ADHD adults and their partners for over 25 years. She has written two books: Women with Attention Deficit Disorder and Journeys Through ADDulthood. She trains and is a consultant to mental health professionals about counseling adults with ADHD. She has a special focus on women’s issues, inattentive ADHD, and the psychological complexities of coping with an adult diagnosis. She is a frequent presenter and contributor to national and international conferences and publications on these subjects. Contact Sari at SoldenFrank.com. ADDClasses.com the leading resource for virtual ADD / ADHD Support and Education. It provides free Webinars and has an extensive audio library with more than 175 hours of courses. It also offers more in depth support programs for adults with ADD / ADHD.